Orlando Pirates coach Muhsin Ertugral says striker Tendai Ndoro is a 'star' that requires special attention in order to get the best out of him. 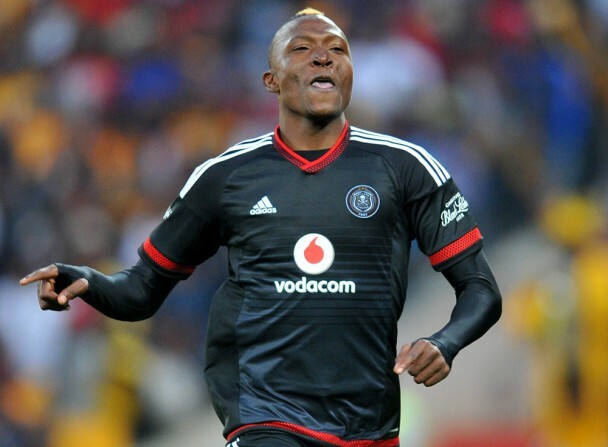 Ndoro bagged the first hat-trick of the 2016/ 17 season as he lead the Buccaneers to a 3-1 victory over Golden Arrows in their Absa Premiership opener on Wednesday. The Zimbabwe international has since received praise from his coach, who reveals that a half-time talk sparked the striker into shape in the second half. “You must ask Tendai what I told him at half-time,” revealed Ertugral. “He didn’t move, let me say, to our pattern that we had trained and he had his reasons when we had that talk at half-time. The Turkish tactician also explained that Ndoro is a unique player who needs individual attention, while adding that they are still getting used to one another. “He’s a player that needs special attention; he’s a star; he’s a special player,” he added. “These types of players need to be (treated differently). “You can’t treat every player the same way, whoever says that is a mess. Every human being is different, so we as coaches — that’s my job — need to look into their needs. Etrugral also commented on new signing and junior national team striker Thabiso Kutumela, who came on in place of Thabo Rakhale midway through the second half. “Kutumela, for me . . . I also spoke to Mr Mashaba yesterday (Wednesday) and said in camp I was very pleased with the quality he possesses,” added the former Mpumalanga Black Aces mentor. “His running off-the-ball, I haven’t seen that in long in South Africa, I must say. He’s the type of person that comes from the NFD and just jumped into a premier side that has big demands every week. Pirates will face Bidvest Wits in the MTN 8 quarter-final this evening at the Bidvest Stadium. — KickOff.